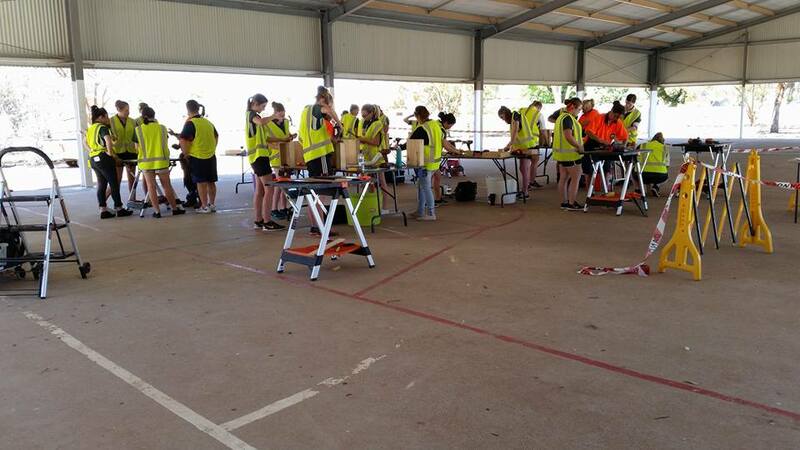 The Broken Hill tour was latest in a series of tours which the Department of Education’s Careers Advisors. We have worked with the Girls in Trade Ambassadors, a Careers Advisor initiative started by Women NSW, for four years now and it has been wonderful. Often the first thing people blame for the lack of numbers regarding women entering the trades is Career Advisors. We work with Career Advisors constantly and have only had huge support and encouragement from the 60 to 70 schools we have been to across NSW and Victoria. We know that our work with the Career Advisors has helped them to understand what it takes and we are more than happy to provide ongoing support. 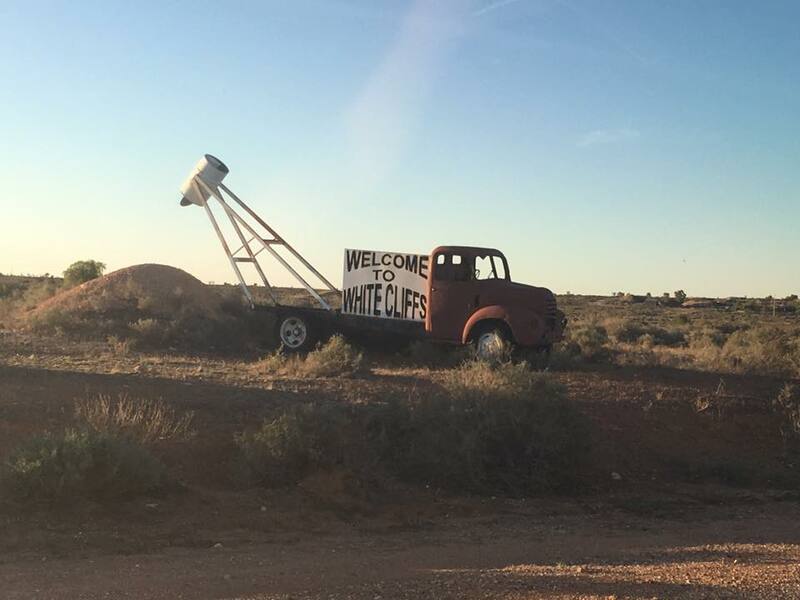 The Broken Hill Tour was a wonderful and inspiring trip, working with 9 schools and including Distance Education for the first time. It takes a huge amount of planning to run one of these tours and involves education officers, careers advisors and our team to get everything in place with preparation staring many weeks before. 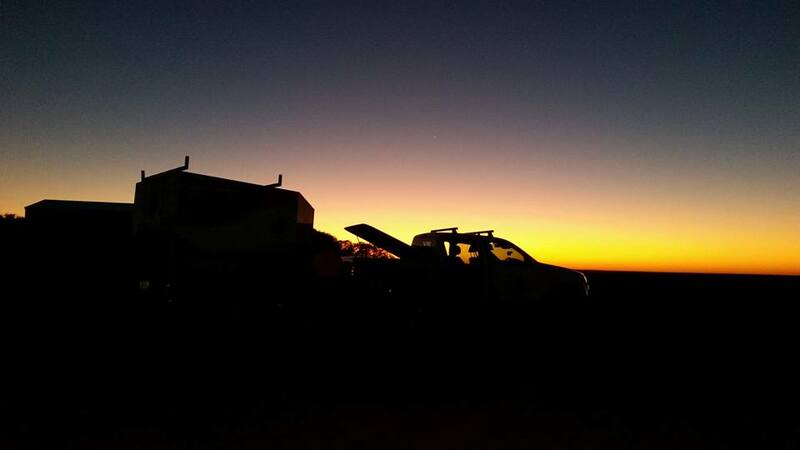 The planning was complicated by the fact that once we returned from this tour we were returning Lightning Ridge for our seventh trip to help farmers dealing with the drought within five days of our return. We had to be super organised to ensure everything was ready. Nine schools were visited and over 3000 kilometres travelled. Every set up is different and we never quite know what we will be dealing with. We had to remove farm equipment, assess loose potatoes as potential WHS hazards and a myriad of the unexpected on this trip, this is the same every trip . Each day involves getting to the site, assessing risks, working out the best way to keep everyone safe, setting up tables, tools, and all safety requirements – safety is always a huge priority and we are constantly watching for anything which breaches that. We train all our Workshop Tradies in first aid and constantly review what we do and how we do it. The set up takes us about an hour and a half. We always start with a safety induction and a talk about why we are there. We really try to get young women to think about their career choices, be active in where life is taking them, help them to realise that they have a choice. We also point out a few home truths which they often haven’t thought about, such as the fact that sadly many of them may become single parents but we balance that by encouraging them to be independent and capable of earning good money via a career. We know they won’t all go into the trades but the skills we give them in the workshop really boast their self-esteem and make them realise that they can do things they didn’t think they could. We tell our stories and emphasis that life is unlikely to be a straight forward path, the best opportunities are the ones you work hardest for and to be prepared to do things you haven’t thought of before. We want to encourage strength and independence which allows them to have strong relationships but cope when changes happen. The workshop is normally four and a half hours with a half hour lunch break. We like to eat with the participants if we can to find out more about them and talk about what we do. We always get an outstanding result and as a bench mark we have asked people to give a score out of ten for the whole workshop – most marks are 10 out of 10 and it is rare to get lower than 8. Once the workshop is done we pack up and clean up, which takes between one and two hours. Then it is one the road again to the next destination. 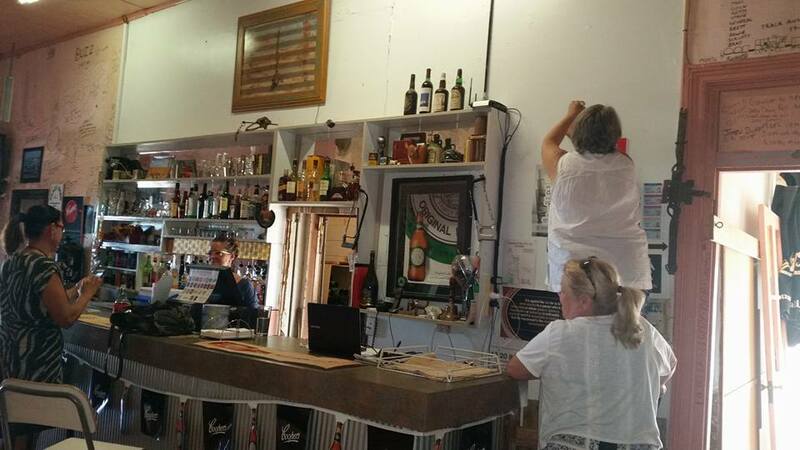 We try not to travel too far but on a tour like the Broken Hill Tour the distances we are traveling are large so we rotate drivers and stop for breaks as much as possible. This normally means we have anything from an eight hour day to worst case a fourteen hour day whilst we are on tour. We love to see new places and on a two week tour the weekends are our time to relax but we love to find out about the places we visit and on a weekend we really pack in as much as we can to see local sights, meet new people and do all our washing for the next week. We are constantly going to new places to try and reach as many young women as we can so it is special to return to places we have been before. 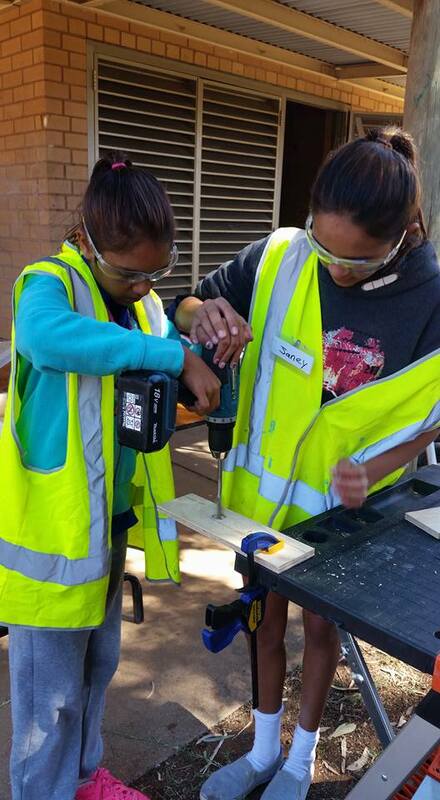 On this trip we had been to Nyngan and Cobar before and we are delighted to hear about one young woman from Nyngan who has taken up an electrical apprenticeship in the mines at Parkes who had participated in our workshop two years before. 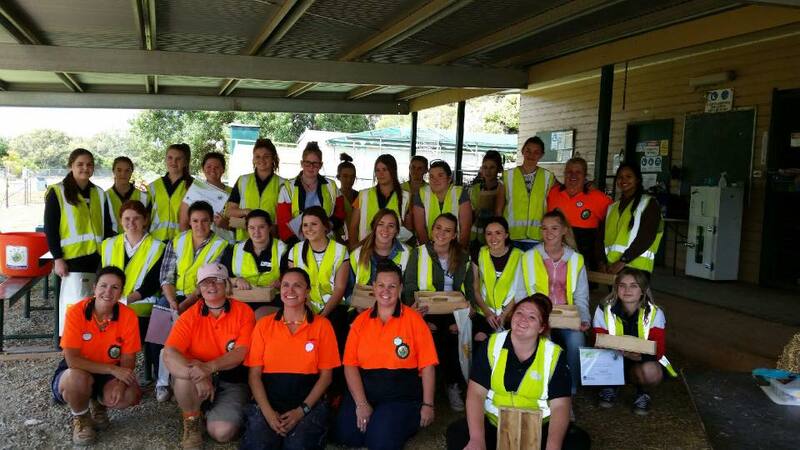 At Cobar we were meet by such an enthusiastic group that we ran our biggest Workshop type one with 27 participants and for the first time we had to turn a couple of young women away as we could not safely include them. We have never turned men or boys away from our workshops if they want to join in and it was a joy to work with Distance Education at Dubbo. For us the trades are for everyone and we also run huge carpentry try-a-trades in our Workshop type two which encourages hundreds of students to actually try tools, in a very hands on way. We hope to work with Distance Education again in the near future. The end of a tour is a mix of joy at seeing our families again, sleeping in our own beds and sadness that this tour is finished. The feedback tells us that we are making a difference and- three quarters say the workshop changed what they wanted to do and 95% want to do another workshop. We believe that currently we are the only organisation in the world which is using a mobile workshop to reach as many women as possible, teach them how to use tools in a fee free workshop and change the way they view what they are capable off.